14K Yellow Gold, I Love You To The Moon & Stars and Back, Dangle Ring . 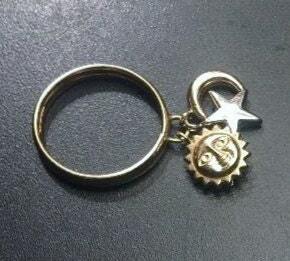 14K Yellow Gold, " I Love You To The Moon & Stars and Back", Dangle Ring . 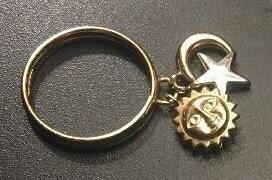 Here is a wonderful, 14K Solid Yellow Gold..." I Love You To The Moon & Stars and Back", Ladies Dangle Charm Ring. Ring is In superb preserved condition.... Its a size 4.5 .